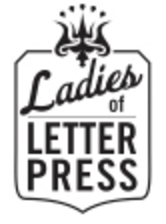 We love the designs over at A Printable Press. 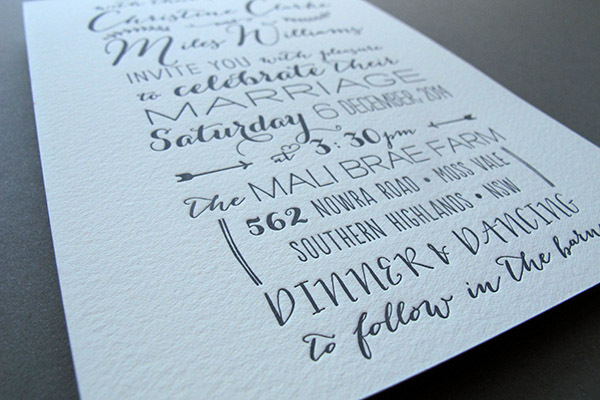 Their letterpress-ready invitations are a great way to get a custom-looking invitation at a less-than-custom price. 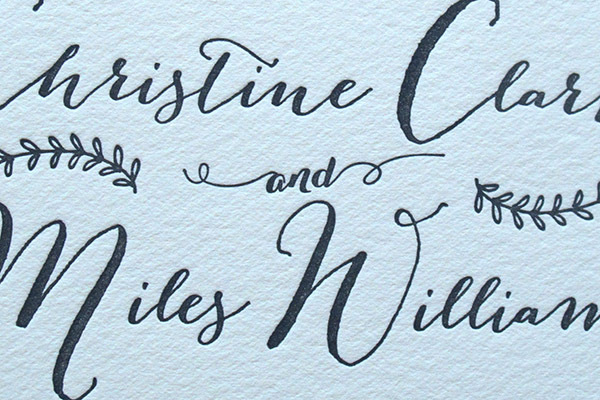 This hand-drawn invitation for Christine is no exception. The mix of hand-drawn typefaces, digital typography, wreathes and arrows would look great on kraft paper, or on Pearl White Lettra, as shown here. 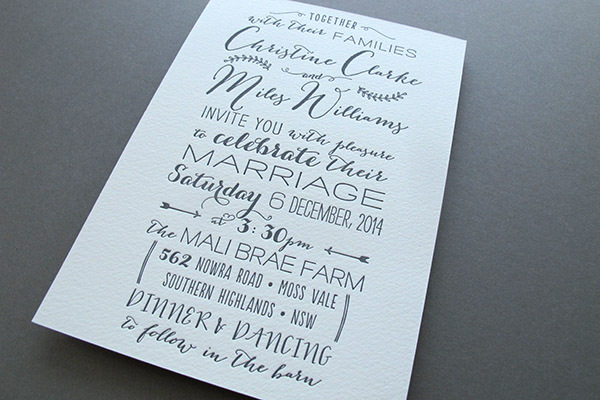 There’s an increasing number of digital typefaces available that mimic hand-lettering and even calligraphy. And while we certainly don’t recommend replacing a skilled artisan with a machine (ahem), sometimes a healthy mix makes a beautiful invitation.